The West Midlands is to host the UK’s first multi-city 5G test bed, including trials of live streaming of CCTV from buses and real world testing of driverless cars. The Urban Connected Communities Project, part of the Government’s 5G Testbed and Trials Programme, will develop a large-scale, 5G pilot across the region, with hubs in Birmingham, Coventry and Wolverhampton. As part of the trial the West Midlands Combined Authority will partner with Jaguar Land Rover to facilitate real world testing of driverless cars, while the pilot will also try 'Connected Ambulances', meaning paramedic crews at an incident could access specialist advice while they are at the scene, for example video conferencing with consultants or other clinical specialists. Live streaming of patient data from ambulance en route to hospital would help inform the immediate care patients receive on arrival. The scheme is also planning tests of live streaming of CCTV footage from public transport buses, which is designed to enable immediate action against anti-social behaviour. 'Intelligent cameras' using artificial intelligence to identify incidents could provide the opportunity for far greater coverage than is possible at present. 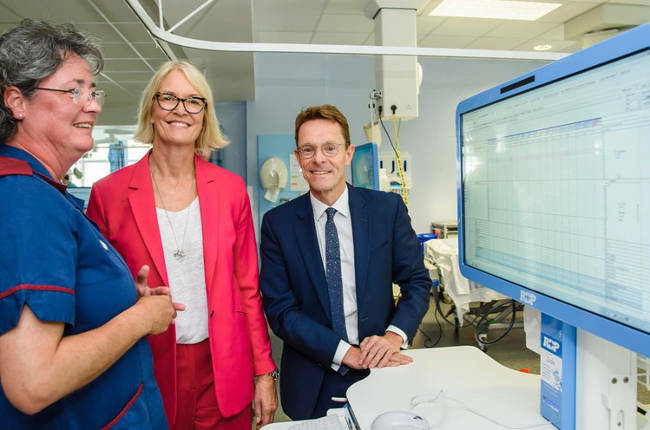 Minister for digital Margot James said: '5G has the potential to dramatically transform the way we go about our daily lives, and we want the citizens of the UK to be amongst the first to experience all the opportunities and benefits this new technology will bring.